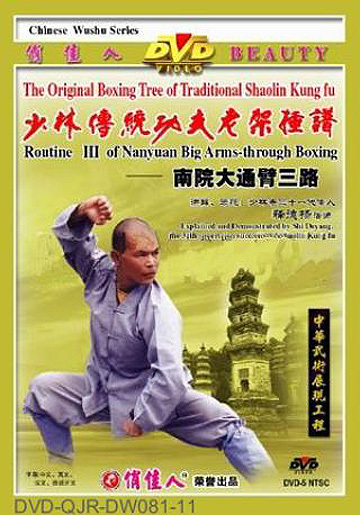 • Shaolin South House Big Arm-through Fist (Shaolin Nanyuan Da Tongbi) is sublimed and arranged basing on the Small Arm-through Fist (Xiao Tongbi) and Big Hong Fist (Da Hong Quan). It features compact and rigid structure with spread forms of fierce and agile, and with comprehensive attack and defense movements of practical combat ability. This routine is especially suitable for teenagers.